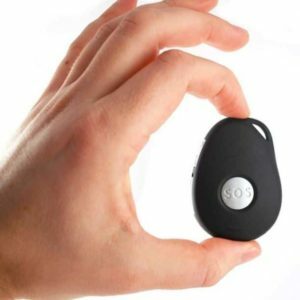 The SureSafeGO ‘Anywhere’ Alarm is a fully mobile GPS medical alarm for the elderly, including a fall detection feature. Availability: In stock Size: N/A Categories: No Landline Alarms/ SureSafeGO 'Anywhere' Alarms/ Talking Pendant Alarms/ Fall Detection Alarms. 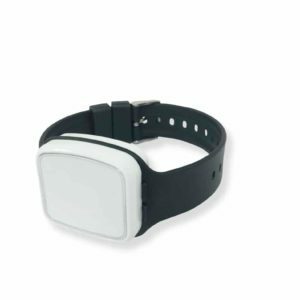 The SureSafeGO ‘Anywhere’ Alarm is a fully mobile medical alarm for the elderly, including a fall detection feature. This device delivers protection both at work, home anywhere you need it. For example at the shops, walking, fishing, etc. The SureSafeGO utilities the latest communication technology. Quickly and easily raise an emergency alarm at the touch of a button. The SureSafeGO does not require a landline connection, it uses mobile phone technology via a SIM card. The SureSafeGo alarm now comes with a Telstra SIM, calls made in an emergency, using your SureSafeGO are completely covered for the first year. Never worry about topping up or checking the balance of your Pay as You Go SIM again. We have you covered. Simply recharge next year for $40. If the user presses the SOS on the pendant, it will activate a voice call as well as sending its location to 5 emergency contacts. The wearer then can talk into the pendant and have a normal conversation. Gives protection anywhere you have mobile phone signal, home and ‘out and about’. No one wants to be stuck at home or worried about leaving the safety of home. With a SureSafeGO you will be protected everywhere. Many alarms on the market will only activate if the button is pressed. The SureSafeGO has an automatic fall detector that will sense the fall and active the alarm. Quickly find where the pendant is located by sending a PING request. A fantastic function for people who wander. Water Resistant & Dust Tight (IPX6 certified) – safe for use in the shower. Can be worn around the neck, as a brooch, or on a key ring. Create a safety zone or virtual fence. If the pedant goes outside a predetermined area, all contact are immediately notified. Depending on use the battery will last approximately 2-3 days. You can change the settings to extend the battery life to over a month. Hyper charging station will re power the device to full power in about 1 hour. The simple free standing, charging station is so easy to use. Step by step instruction are included or simply call us free on 1300 739 991 to speak to a technician. The SureSafeGO is both small and light. Measuring 61x42x16mm, and weighing only 38 grams, you will hardly notice you are wearing it! 3. If the first number doesn’t answer, the SureSafeGO will continue to call the 2nd contact, and then the 3rd etc.